The Club is situated Manningtree on the south bank of the Stour Estuary. Sailing depends entirely on the tide. There is normally enough water for about two hours each side of high water and, for the rest of the time, a large expanse of mud. The Stour estuary is one of the most attractive sailing rivers in Britain. At high tide it is up to two miles wide between wooded banks and farm land and gives access to the Orwell River and the North Sea at Harwich Harbour. It is home to many sea birds and waders. The Sailing Stour Sailing club was formed many years ago and continues to promote access to and enjoyment of the river. The club is owned and run by its members. It has a clubhouse converted from an old river-front house, in an excellent position in Quay Street. It has a bar, parlour, toilets and showers and a balcony overlooking the river and beach. Opposite the clubhouse is a short concrete slip leading to a gravel hard, which gives access to the channel. To the side of this is a compound with bench seats and a race starting hut. During the season the compound has a marquee erected and is used for the regatta and other festivals. About 100 metres along Quay Street is the club’s lockable west compound. It has power and water available and a concrete slipway down to the channel. Outside the compound is a quay for loading and discharging kit and passengers, tide permitting. The compound is used for storing smaller boats during the sailing season and cruisers during the winter. A craned “lift-in” and “lift-out” for larger boats is organised at the beginning and end of the season. The Club is home to a wide range of craft including sailing and motor cruisers, Micro class racers, dinghies and open boats, rowing skiffs, and canoes. A number of members fish in the estuary. The Club has a vibrant Coastal Rowing Section with a Club Harker’s Yard Gig “William Rose” purchased with the help of a Sport England Lottery Fund Grant in 2016. The club manages the lease of moorings in the area and a mooring is usually available, sometimes after a short wait. There is a programme of races for Micro class boats throughout the season and occasional races and social sails for cruisers. The Regatta is the main sailing event, held in mid-summer. Club Rows take place twice a week throughout the year when tide and weather allow and interclub events include a Rowing Festival and Harker’s Yard Gig Raves. The club supports sail training, mainly for juniors, which takes place at neighbouring facilities. As well as events on the water there are also numerous social events throughout the year. New members are welcome and are expected to join in and help with the various aspects of running and maintaining an active club. This is the place where many a tale is told , cruising trips discussed and the delights of the River Stour understood ! The bar is run by volunteers and is open most lunchtimes and Friday evenings ( see Bar Rota). The bar provides the opportunity for all members to get to know one another , catch up on the gossip and also sample a good range of beers. The atmosphere in the club is very amenable and new members are always made to feel welcome. Above all though, the view over the River Stour from the balcony is one to be experienced and enjoyed particularly when the sun is setting. So we look forward to seeing you in the bar enjoying yourselves amongst fellow river users. 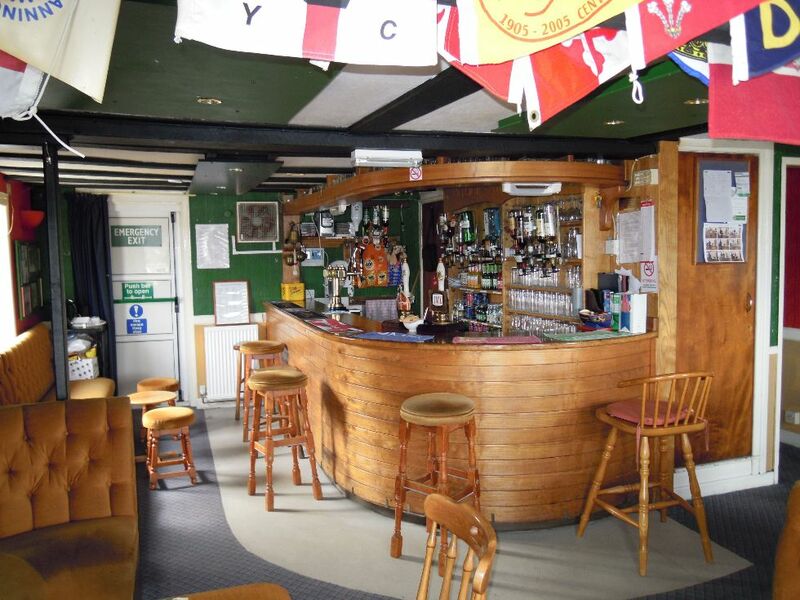 The Parlour open daily, is the club’s own area where social events, committee meetings etc are held. The Parlour is fully equipped with all the necessary items to provide catering for club events or just a cup of coffee and was recently refurbished to improve the facilities. Most mornings during the year groups of members can be found in the Parlour, putting the world to rights and watching the water over a cup of tea. 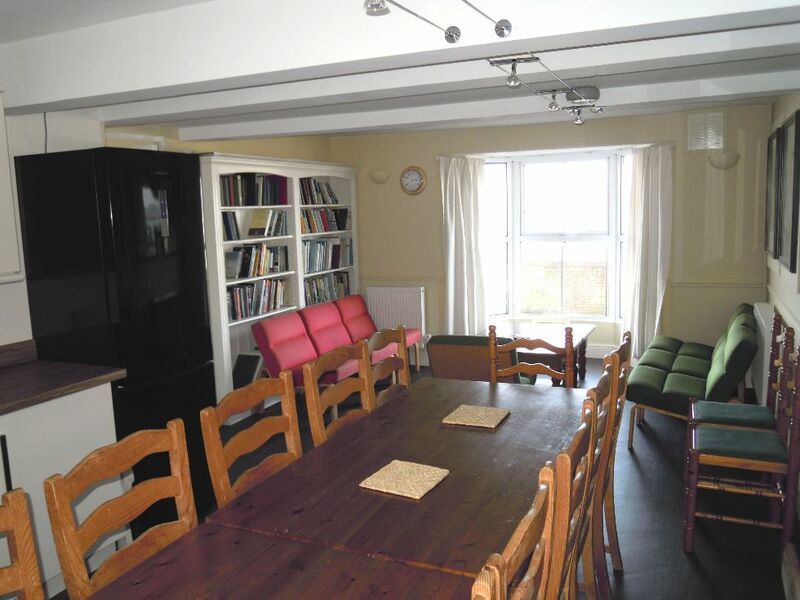 The Parlour is also used by like minded local groups eg River Stour Trust for their management meetings , so it is seen very much as a community resource.